Meat plays a central role in most Filipino dishes, making culinary exploration difficult for vegetarian and vegan travelers. 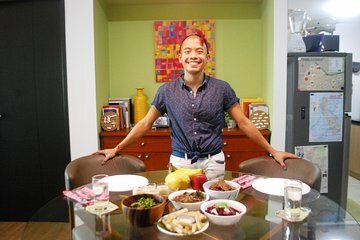 This unique cooking class lets you experience the flavors or traditional Filipino cooking, without the meat. Under the guidance of a professional chef, you’ll create plant-based dishes that capture the feisty spirit of Filipino food. Upgrade to pair your dishes with alcoholic drinks.